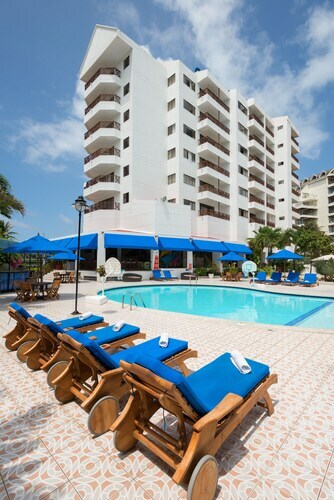 It's easier than ever to save cash with San Andres vacation packages on Expedia. You'll have more time to sort out the exciting stuff — and more spending money! 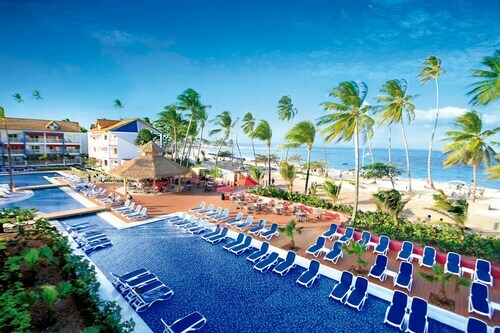 Earn savings of as much as C$590* when you book your package deal on Expedia. Look through our international database of more than 400 airline partners and 321,000 properties worldwide. Too many to pick from? Don't worry — we'll help you decide! You can make changes to almost any booking and you won't pay a cancellation fee to us. It can be quite pleasant to just wander the streets when you're in a new place, but sometimes it's a wise move to come up with a plan. Grab your schedule — we have plenty of wonderful ideas for your San Andres vacation. Wouldn't mind adding some deeper meaning to your vacation? Make a pilgrimage to Baptist Church. No matter your spiritual beliefs, it's a terrific place to discover the local faith. There's an excellent range of things to do in this destination. In the mood for a postcard-worthy afternoon by the water? Unfold a camping chair and find the best spot to admire a stunning ocean sunset at Johnny Cay. Still have some time to spare? There's nothing more refreshing than the sounds of ocean waves coming into shore. Roll out a picnic rug, stretch out and let your soul be soothed at Spratt Bight. A getaway is a terrific time to slow down, recharge and relax. It's also the perfect time to dive into new experiences! Trying a Bay by Night Tour is a great way to begin your San Andres journey. 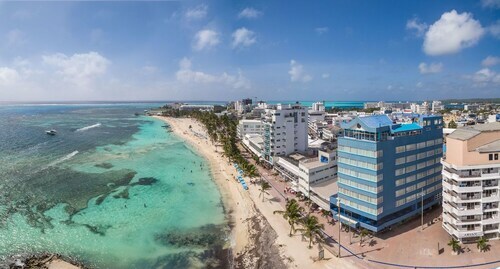 For a more complete guide to activities, check out the San Andres things to do page. 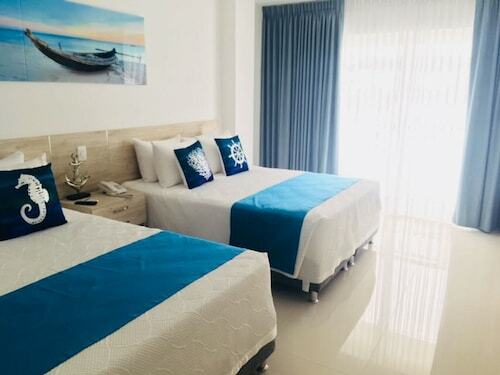 Explore San Andres with ease knowing that you have accommodations secured. 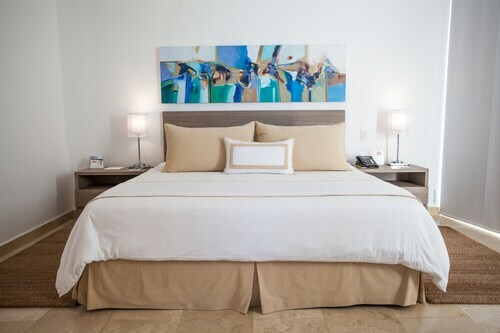 With no less than 65 properties available, booking a soft, comfy bed for your next luxury getaway or cheap vacation won't be hard! If you'd rather not trawl the net for hours for a place to stay, why not take a look at our recommendations? 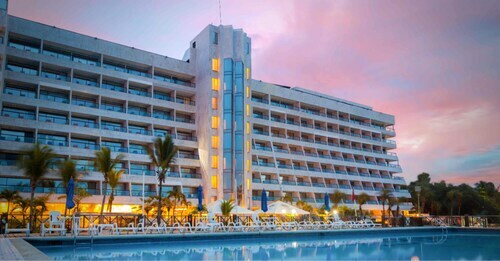 The Decameron Marazul - All Inclusive and Acantilado de la Tierra by On Vacation are some of the best properties here. Got the tickets booked for your trip to San Andres yet? 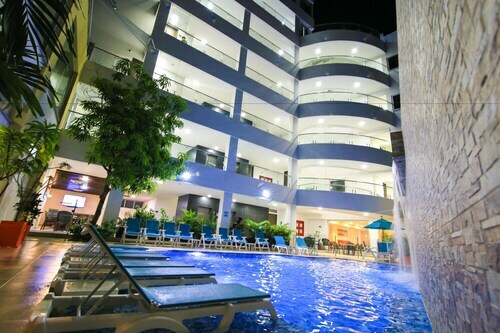 When you get there, prepare to walk out into Gustavo Rojas Pinilla International Airport (ADZ). It's 0.2 miles (0.3 km) from here to the downtown area. Property and staff was awesome. The only downside is WiFi is very poor but then again its like that in all the island. Beautiful hotel food is excellent the staff the best I’ll be back soon with my kids beautiful beach. some personnel were not really friendly, some others were. The bartender was very nice and professional.